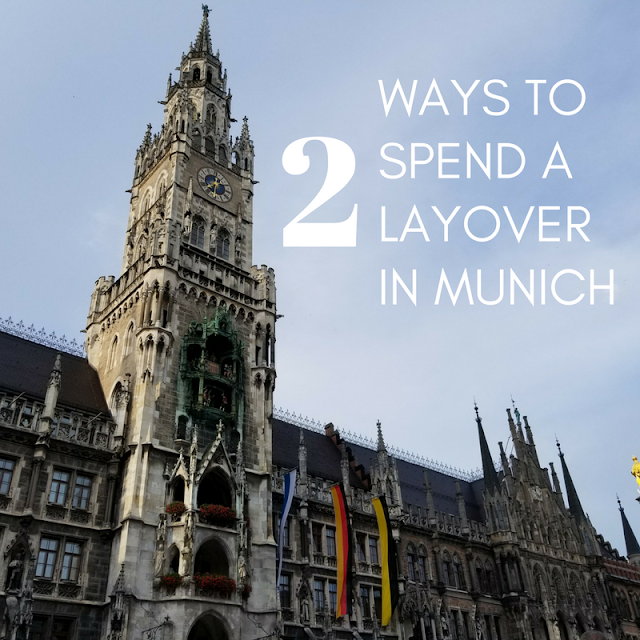 When The Pilot and I planned our trip to Croatia, we did so with a Layover in Munich. We couldn't fly direct to Croatia from the states and, from Munich, the flights to Dubrovnik looked good for pass travel (how we refer to our flight benefits, also called non-revving). When we checked into our Lufthansa flight 24 hours prior to departure, before we had even left the states, we had already been given seat assignments, something that doesn't usually happen until 10 minutes prior to departure. With only one flight per day from Munich to Dubrovnik, we were going to have exactly 6 hours from the time we landed to the time we took off again, which is a long time to spend in an airport. It's a manageable layover but why sit in an airport when you can go out and explore! I started looking at what are options to get to Munich would be and learned that Munich is about a 45 minute train ride from the airport, not nearly enough time to get into Munich with enough time to actually see anything but when I learned that the small university town of Freising was only 10km from the airport, we decided to spend our layover exploring a bit of Germany. Our flight landed at 8:30 am and we immediately saw signs for the 635 bus to Freising upon clearing Immigration. If you're flying from the US, you will likely have bags too big to carry on to your final destination. European baggage rules are different but with most airlines that codeshare with the major American legacy carriers, they know this and don't charge for baggage. We didn't want to carry our luggage so we headed to the other terminal to check out bags and then made our way to the bus stop. The bus to Freising departs from both terminals every 20 minutes and takes about 15 minutes. We had just missed one when we got to the stop so we had a bit of a wait but the trip took no time and we were dropped off in Freising with abo it 2 1/2 hours to kill, less time than we wanted but we definitely took our time getting through the airport. First, we wandered through Freising to the Marienplatz, the central square in the town. Freising is so quaint and I loved that there were more bikes than people! In true German fashion, the Marienplatz has a large church and the street continues in either direction with shops, bakeries, and restaurants. We walked down the street, passing in and out of little shops and eyeing the German pastries from afar. After going back and forth on the idea for a bit, we decided to visit Freising's main tourist attraction, the Weihenstephaner Brewery, which has been in existence since the year 1040. I had known from my research that Weihenstephaner only does tours three days per week (Monday through Wednesday) but we decided to go anyway and have some drinks at the Braustuberl. We took a bus from Freising up the hill toward the university and then walked up to Weisenstephan. That hill is no joke and, by the time we got there, we were ready for some cold beer! We each ordered drinks and an appetizer of Oberlatz, a Bavarian camembert, to share. 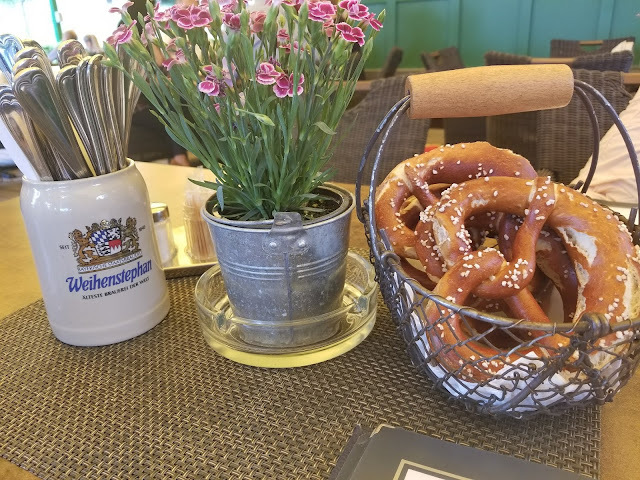 We were pleasantly surprised to see a basket of giant pretzels put on our table and equally disappointed to learn that free bread baskets aren't a thing in Germany, or at least at Weihenstephaner when we got our bill and were charged 4 euro for eating the pretzels! 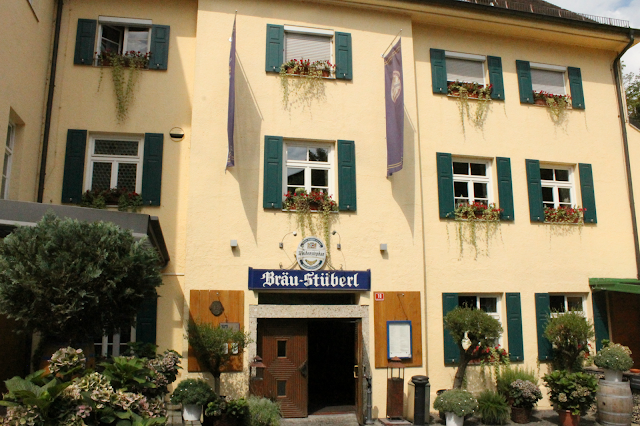 We left Weihenstephaner, trekked back down the hill, and hopped on the bus back to the bus station. 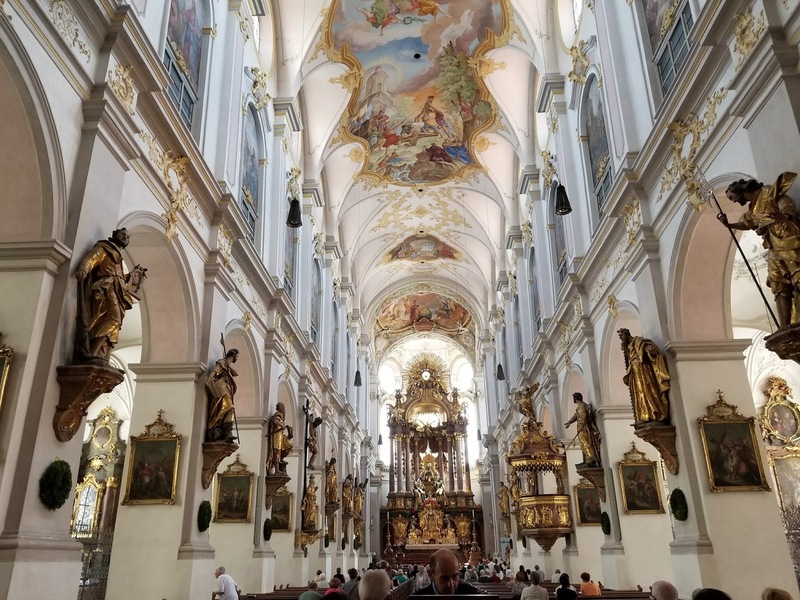 We made it to the airport only to find that our flight had been delayed and we could have had more time in Freising but it was a great little side trip and a much better option than spending six hours in Munich's expensive airport! Unfortunately, shortly after getting back to the airport, we learned that we hadn't been given seats on the flight. We always know that there's a risk with this since we fly standby but in this case, there actually had been seats but a broken crew seat derailed that for us. With only one flight per day to Dubrovnik, we were stuck in Munich for the night. This time, we took the train into central Munich where we booked a hotel near the train station. 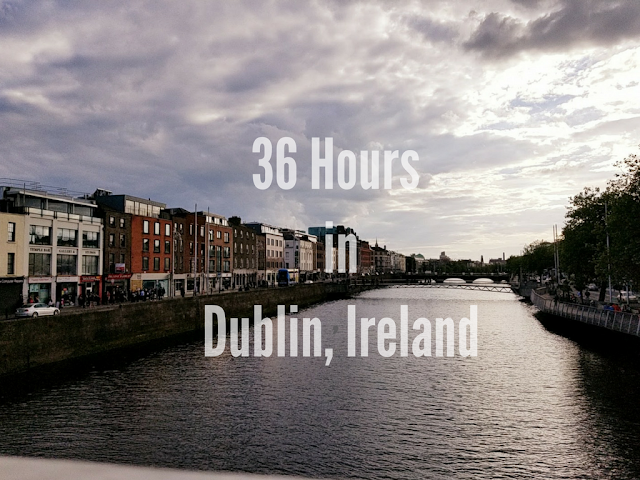 By the time we checked in and freshened up (we had been traveling for 24 hours at this point and neither of us had slept on the transatlantic flight! ), it was close to 7. Luckily, it stays dark in Munich pretty late so we headed out toward the Marienplatz to wander around. 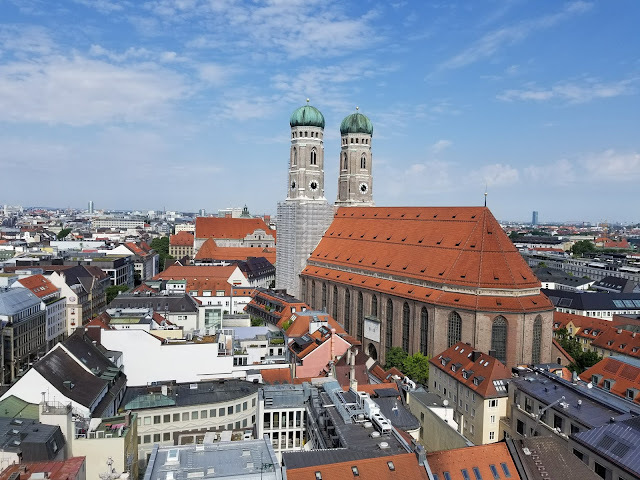 I had been in Germany twice before - to Berlin and to Darmstadt, a small town outside Frankfurt, but this was my first time in Bavaria and between Freising and, now Munich, I fell in love with the German state. 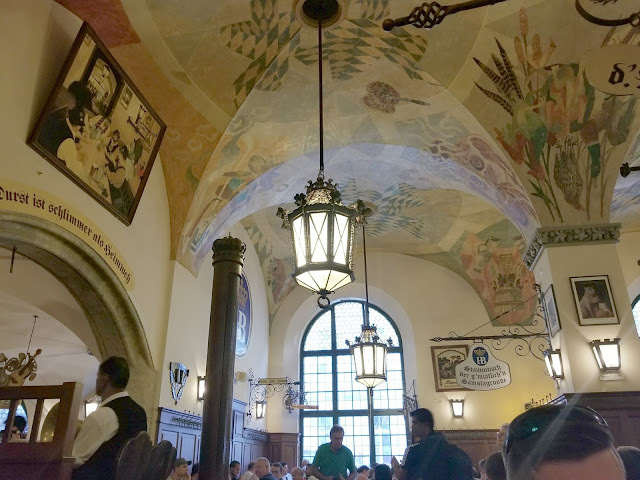 We walked through all of the streets in the Marienplatz and then made our way to the Hauptbanhaus for drinks. This place is insane. It is wildly overwhelming. Don't even think twice to stop and take in your surroundings lest you block the way of a server carrying no less than 2 dozen1-liter beers on a single tray. The next morning, we headed back to the Marienplatz in search of a book store to add to our Harry Potter collection. After an unsuccessful attempt in Freising (they only had The Cursed Child, and Quidditch through the Ages...seriously?) we found a German copy at Hugendubel. Next, we headed up to the top of the New Town Hall to scope out the amazing views over Munich. We opted for this view since there's an elevator as opposed to climbing the tower at St. Peter's Church because we only had about two hours. Just like that, it was 10:30 and time to head back to our hotel to check out and catch the train. I loved both Freising and Munich! After a short time in both, I can say that Freising feels like a much smaller version of Munich and is the perfect stop in Germany for anyone with a short layover! As for Munich, we barely scratched the surface but with only about five waking hours in the city, and a desperate need to eat on arriving, I think we managed to see a good bit! 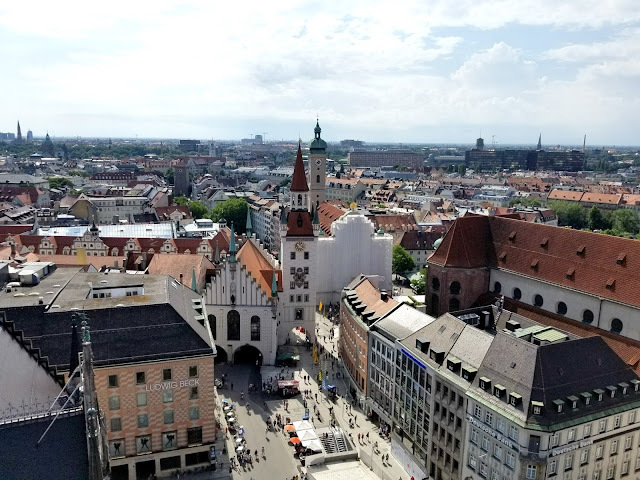 We're already thinking about when we can go back and really see Munich! I'd love to visit the Residenz Palace and see the English Garden! Have you ever been to Munich? Do you try to venture out during your layovers or do you prefer to stay at the airport?